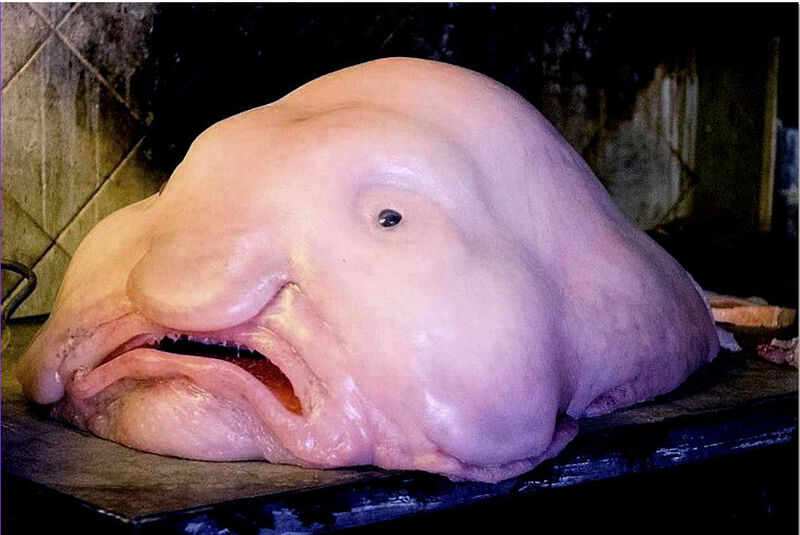 The Blobfish is a weird looking deep sea fish. It inhabits the deep waters off the coasts of mainland Australia and Tasmania, as well as the waters of New Zealand. They live at depths between 600 and 1,200m, where the pressure is 60 to 120 times as great as at sea level, which would likely make gas bladders inefficient for maintaining buoyancy. Their diet consists of small crustaceans like crabs, sea urchins, and shellfish. These goodies are sucked into the blobfish’s mouth as it floats along. Lacking both bones and teeth, they do not actively hunt. In fact, their extremely low muscle mass doesn’t allow for much movement at all. Besides eating, conserving energy is the blobfish’s main job. The female lays thousands of small pink eggs on the seafloor. 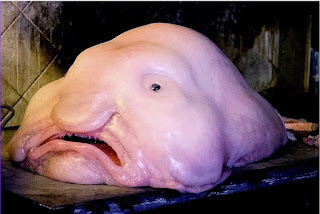 Either the female or male blobfish will sit on the eggs to protect them from predators.